How long have you been in your current role? Were you brought in with a specific objective, drawing on your experience in the private sector to achieve a certain goal? I joined in August 2015. The department wants the Health CIO to work collaboratively in the Victorian public health sector devolved governance model, be able to bring the sector together and agree a digital health strategy, especially around the sharing of clinical information, and support the health services in working together on joint initiatives. In Victoria, we have 86 health services and 32 independent community health services. My team supports the health services in providing health ICT design and shared service, as well as performing a sector wide ‘health systems management’ role to ensure that the end to end system is working together, meeting minimum standards and positioning itself to leverage future technological advances. Another key part of the role is to enable the appropriate sharing of information between the health and social care functions of the department to support a person centred approach to health and well-being. What are the core priorities that you are looking to implement or may have started to implement over the coming years? Health systems within Australia and around the world are grappling with how to mitigate the increasing cost pressures on health, and Victoria is no different. One of the strategies being developed is moving to a more person-centred system that focusses on meeting individual and place based needs, with the aim of keeping people healthy and well throughout their lives. Technology is an enabler in connecting the disparate parts of the system together , to enable clinical information to be shared in such a way that the overall health system is safer, better able to meet individual needs and produce better outcomes in a more cost effective way. Whilst technology is an enabler, change management and developing new workflows is the key for success, and we need to ensure that patients, clinicians and health service administration work together to develop the new digital health workflows. Creating a shared clinical information system to enable clinicians to better support their patients from an integrated and continuum of care perspective. Enhance applied health research, quality & safety and education through deeper analytics of de-identified health datasets. Identify opportunities for targeted preventative health and early intervention. Our plan for the next 3 years is to progress each of the building blocks, the pace of change dependent on the funding received. In summary, we want to ensure we are collecting clinical information in digital form that can be part of a person’s health record, is able to be appropriately shared, is robust and secure, and can be used to deliver better health and wellbeing outcomes for the person. In terms of technologies that are important to you and your department- you talked a lot about recording of data, do you store that on Cloud or in data centres? Where are you recording your data? The majority of data is currently stored in data centres in Victoria, though we are investigating the use of cloud based software services. What is your time frame to go paperless? Our strategy is to have a fully digital health record rather than have paperless as an end goal, and the timeframe will be dependent on funding and the ability of the health service to implement the significant change management required. We’ve made good progress over the last few years, with many health services now at a high digital clinical standard or have projects underway. With regards to recording, storing and securing the data, what information would be useful to you or the CIOs reporting to you? Our focus is moving to health and well-being and to do that we need a person-centred view over the individual’s lifetime rather than just treat them when they are unwell. This will require a longitudinal view of the person, and making it available in a private and secure way when some form of treatment or support is required. Sounds like a massive undertaking, in terms of the budget, it’s all coming from the state, or there’s some federal budget allocated for that as well? Both the States and the Federal government provide funding for health services, and there is co-operation to develop a more integrated system. There is a new federal digital health agency which has responsibility for the My Health record as well as providing some common architecture and services that the states can leverage. Is this being done in collaboration with other states then or is this purely a Victorian initiative? All the state based Health CIOs meet on a regular basis to share information and agree on interoperability standards, and there is good co-operation amongst the group. How do you see ROI from this? The overall ROI is to have improved health outcomes at a cost-effective price. Each business case contains expected benefits which are tracked for realisation after the implementation of the project. What’s your thoughts on the role of innovation in governments or agencies? How do you see that playing and how do you see it into the future? I think there’s a change within government to see itself as identifying what needs to be done and then looking for what services that are available to deliver that, rather than perhaps the previous approach of “there’s a need, so we build a system to meet the need”. There is recognition that innovation will continue to occur in the marketplace, and Government needs to have open interoperability standards that encourage this innovation and allows Government to consume and integrate services as they are developed. 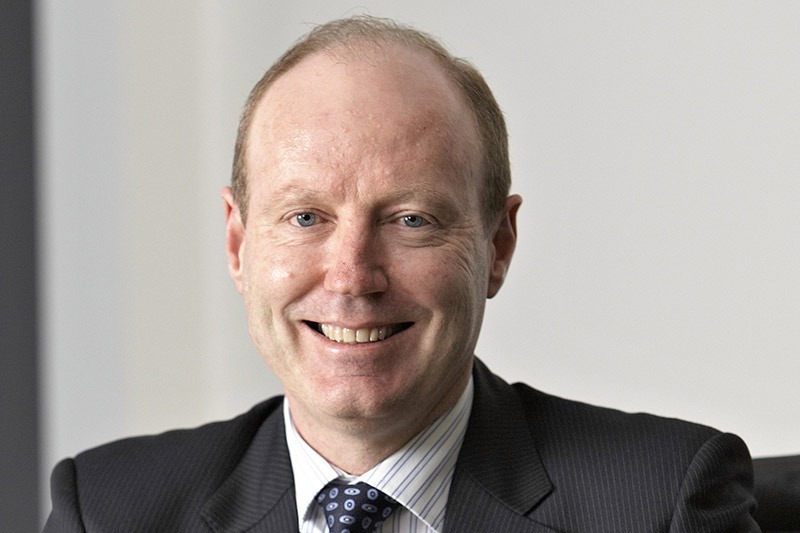 Andrew Saunders will be speaking at the Victoria OpenGov Leadership forum in Melbourne on November 17th. For more information, please contact leon.kantor@opengovasia.com.